Environmental responsibility is our business. 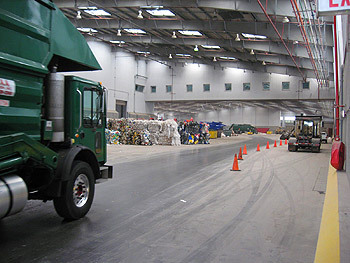 All of the waste we collect is transported to this facility where all the recyclable material is sifted and separated and then diverted for recycling. Nearly 100% of all the waste we collect is recycled. 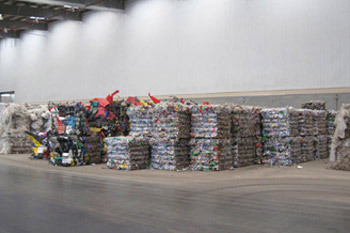 We provide innovative waste solutions that preserve and protect our natural resources. We work with our customers, vendors and the communities that we serve to increase sustainability, ensuring the improvement and protection of the environment. Regular scheduled container services are our specialty. We offer both permanent and temporary bin service. We have bins available in size from 1 cubic yard to 6 cubic yards and we can provide service from 1 to 6 days per week, Monday - Saturday. Our bins are sealed to minimize and eliminate any leakage. 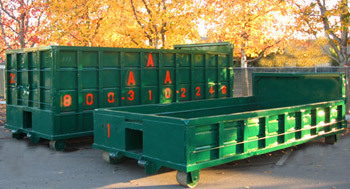 We can customize or modify any type of bin for special applications. We also provide cost analysis and waste audits to ensure that your service is always cost effective. We offer permanent and temporary Roll-Off service. Our Roll-Off containers are 40 cubic yards and we also have Low-Boys for concrete, dirt, asphalt, brick, and cinderblock. We can customize or modify any type of Roll-Off or Low-Boy container for special applications. We offer a fast turn-around to our customers so that there is no wait time or down time. We also have the resources to provide a rapid response when unexpected emergencies arise. 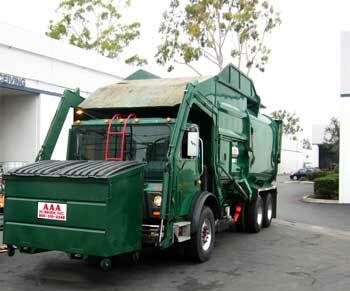 We offer a full line of compactor service from Self-Contained to Stationary units. We have lease and purchase options for both types of units that will meet your budget, and the expertise to provide you with the correct type of unit and set up. We also offer maintenance service, oil and lubricants for both types of units. We offer a fast turn-around time to our customers so that there is no wait time or down time. We also have the resources to provide a rapid response when unexpected emergencies arise. 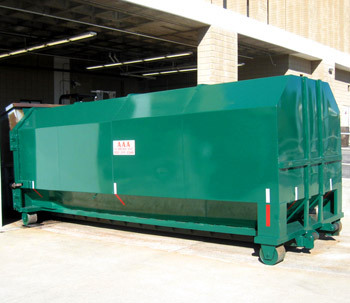 In addition, we can customize or modify any type of compactor unit for special applications. 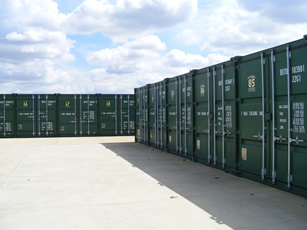 We offer storage containers for lease or purchase. 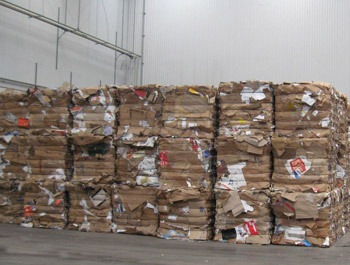 We provide rebates based on fair market value for large volumes of cardboard. We can also provide balers and provide rebates based on fair market value for bales of cardboard as well. We will provide the container(s) necessary for the collection of cardboard. In addition, we can bundle your waste disposal service with the cardboard recycling service and all the other services that we provide. We provide rebates based on fair market value for large volumes of white paper. At least one (1); three cubic yard bin of white paper per week is necessary for rebate. We provide the necessary container(s) for the collection of paper. In addition, we can bundle your waste disposal service with your paper recycling service. We provide rebates based on fair market value. 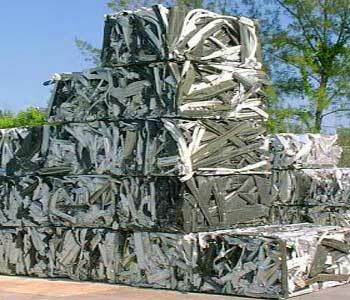 We provide the necessary container(s) for the collection of your scrap metal. In addition, we can bundle your waste disposal service with your scrap metal recycling service. 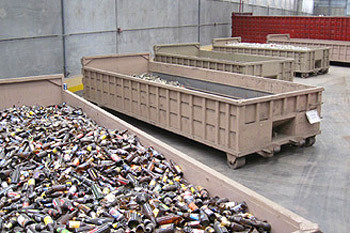 We provide rebates based on fair market value for large volumes of aluminum cans, plastic bottles and glass bottles. These items must be separated into each respective category (aluminum cans, plastic bottles, glass bottles,) and the rebate is also based on volume for each respective category. We make Fluorescent Bulb Recycling easy. We provide you with a prepaid box ready for shipping. All you need to do is call FedEx for pickup when the box is full. We have boxes for fluorescent lamps ranging in size from 4 to 8 feet. To make things easy, these simple instructions are printed on all of our boxes. We also offer Ballast and Battery recycling. 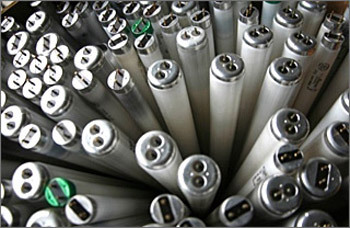 In addition, we can bundle your waste disposal service with your fluorescent bulb recycling service. 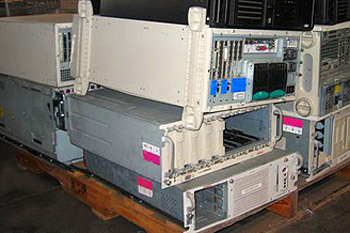 We offer E-Waste Recycling for all types of electronic equipment but not limited to items ranging from computers to televisions. In addition, we can bundle your waste disposal service with your e-waste recycling service. 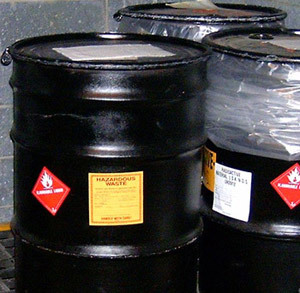 We offer hazardous waste disposal, specializing but not limited to used oil, oil filters, lubricants, and solvents. In addition, we can bundle your waste disposal service with your hazardous waste service. We provide 100% recycling diversion credit for large volumes of wood. 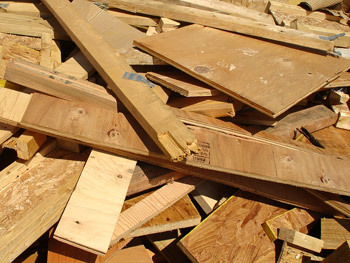 We provide the necessary container(s) for the collection of your scrap wood. In addition, we can bundle your waste disposal service with your scrap wood recycling service. © AAA Rubbish, Inc. All Rights Reserved.